We hope you're settling into the new school year! We're excited to share with you the following events, stories, and opportunities. 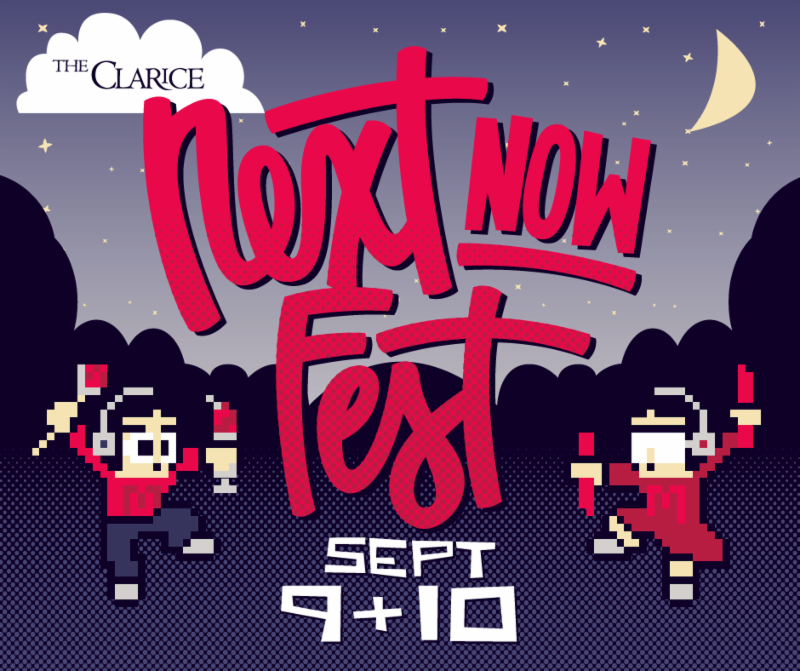 A highlight this week is The Clarice's NextNOW Fest on Friday, September 9th and Saturday, September 10th. Don't miss this diverse arts festival! TDPS students and alumni will be participating, and you can also check out the wide range of fascinating guest artists. See details below. All events are free. All events are freeing. Experience two days of nonstop music, theatre and dance performances and immersive, technology-driven installations by artists from around campus and the country. The Clarice's NextNOW Fest is open to all. Be a part of what’s next now! Alumni Play Commissions: Manifesting includes recent Theatre alumni: Joe Graf ('15), playwright; Sam Mauceri ('15), playwright; Sisi Reid ('15), playwright; Moriamo Akibu ('15), director; Tai Coates ('15), stage manager; Becca Ballinger ('14), actor; Noah Israel ('16), actor; Maria Ortiz ('15), actor. Delta Chi Xi Honorary Dance Fraternity Classes: Free dance classes, including: Jazz with Jen Graham (MFA Dance), House with Jonathan Hsu (BA Dance '15), Contemporary with LaTefia Bradley (MFA Dance), Hip Hop with Devin Seldon (BA Dance). NextDANCE: A collection of work by student choreographers, featuring the premiere of Sinclair Ogaga Emoghene's (MFA Dance '16) Alumni Dance Commission. Performing Arts First Look Fair organized by the Undergraduate Theatre Artists Society (UTAS). 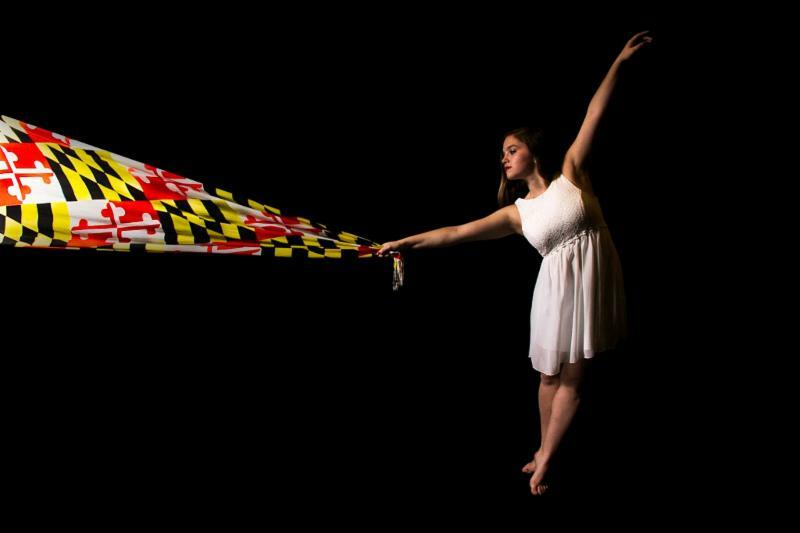 Check out UMD's student performing arts groups! Mamela Nyamza: Hatched: Guest dancer, choreographer, and performance artist Mamela Nyamza from South Africa presents her solo work. Mamela will also present her dance theatre collaboration piece with students and alumni on Friday, September 16, 6:30pm, Dance Theatre. Forrobodó: For All Brazilian Dance Party: Kate Spanos (PhD '16) will co-teach Brazilian partner dance with live band, Forrobodó. 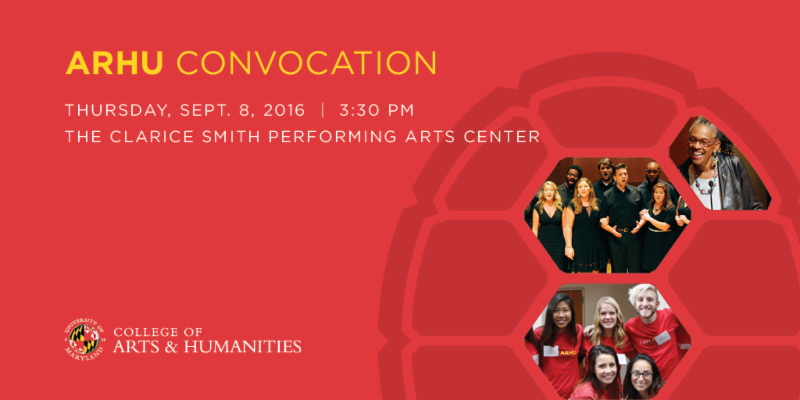 All members of the ARHU community are invited to attend the college’s annual convocation on Thursday, September 8, 2016 at 3:30 p.m. in the Gildenhorn Recital Hall at The Clarice Smith Performing Arts Center. TDPS student and Creative and Performing Arts scholar M onica Albizo will be honored with the Undergraduate Student Service Award. TDPS Director Leigh Smiley will speak and Dance faculty Patrik Widrig will perform; new TDPS faculty Maura Keefe and Lisa Nathans will be welcomed. 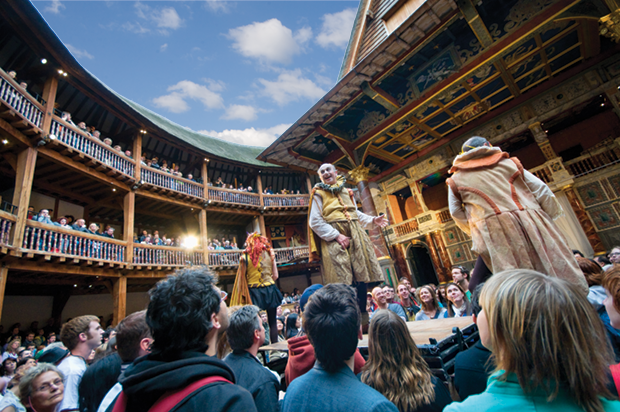 Professor Frank Hildy is featured in the latest issue of Terp Magazine for his innovative research contributions to the reconstruction of Shakepeare's Globe in London. 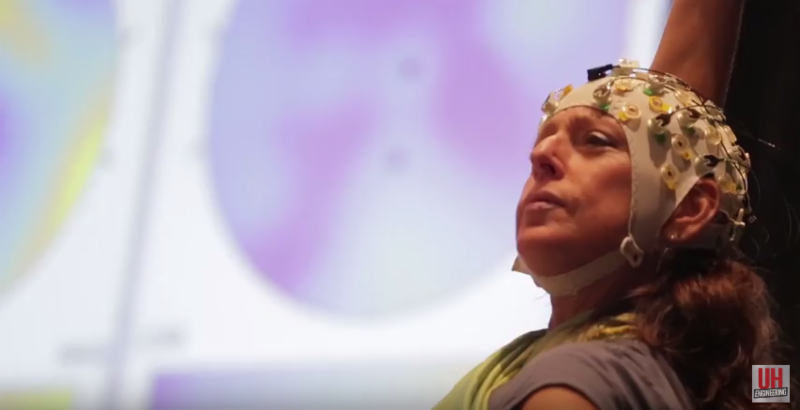 In July 2016, TDPS Dance Professors Karen Bradley and Miriam Phillips attended and presented at Your Brain on Art: International Conference on Mobile Brain-Body Imaging and the Neuroscience of Art, Innovation and Creativity in Cancún, Mexico. Amber Chabus, a junior in the BA Dance program, recently completed a summer internship at the Trisha Brown Dance Company in New York City. She did archival and administrative work for two days per week from June to August at the company’s headquarters in Midtown. On September 5th (today! ), TDPS faculty and students will present staged readings of new plays as part of the Kennedy Center's 15th Annual Page-to-Stage Festival. Shuping Yang will present a staged reading of The Goldfish, directed by alum Olivia Brann (BA Theatre '14), and Whitney Geohagan and April Monu will present a staged reading of B.W.A. (Black Woman's Anonymous), both part of the TDPS Second Season in December. TDPS faculty Jennifer Barclay will present a staged reading of her new play Eat It Too. 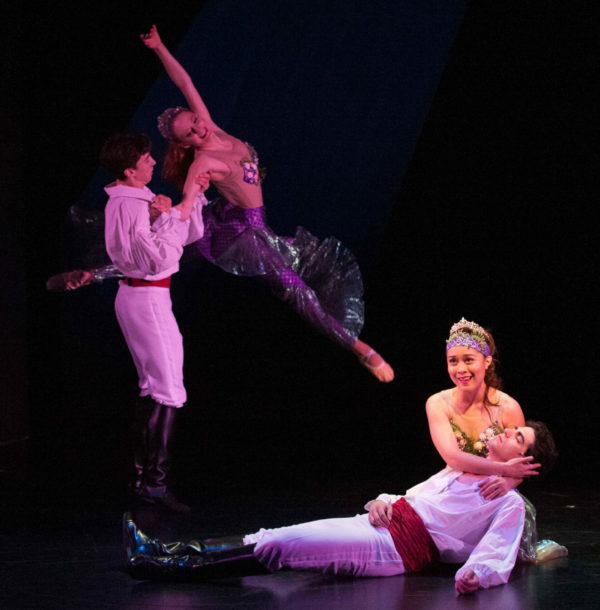 A number of TDPS alumni and faculty worked on The Little Mermaid at Imagination Stage this summer: actor Tiziano D’Affuso (BA Theatre ‘15), costume designer TDPS Professor Helen Huang, and scenic designer Milagros Ponce de Leon (MFA Design ‘02). UMD ARHU Travel Awards: First round due October 5th. Application info here. The Nadia and Nicholas Nahumck Fellowship, Society for Ethnomusicology, to help support research on a dance-related subject and its subsequent publication. Details available here. Conference & Research Grants for Institute for Humane Studies: Grant of up to $750 from the Institute for Humane Studies toward expenses, including travel costs and conference fees. Apply here and be sure to mention Academia.edu! Gilman International Scholarships: Provides up to $5,000 for study abroad students with financial need who receive Pell Grants. Details on info sessions and the application process available here. Congress for Research on Dance (CORD) awards now available online. 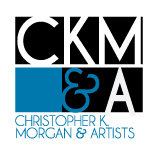 Christopher K Morgan & Artists internships for September 12, 2016 - January 15, 2017; interviews begin September 7th. For more details, email christopherkaui@gmail.com. Voice Minor Series (VMS) auditions: VMS is a program offered by the Voice Division of UMD School of Music for any student who is not a voice major. Participants of this program can take weekly voice lessons from a teaching assistant, and are required to pass a jury at the end of each academic semester. Direct questions to Lori Sen at lsen@umd.edu. Terps for Change: Terps for Change is a semester-long program pairing students with local nonprofits. Students gain real life experience and professional development while connecting with fellow Terps. Log into www.OrgSync.umd.edu and go to go.umd.edu/t4c to apply. Applications open until September 16. Theatre J is hiring front-of-house staff; more information here. 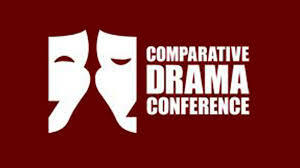 Papers reporting on original investigations and critical analysis of research and developments in the field of drama and theatre are invited for the 41st Comparative Drama Conference, hosted by Rollins College in Orlando, Florida, April 6-8, 2017. Scholars and artists in all languages and literatures are invited to email a 250-word abstract in English to Dr. William C. Boles at compdrama@rollins.edu by December 3, 2016. More info here. 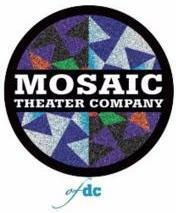 Mosaic Theater Company is offering group discount tickets to Satchmo at the Waldorf. Please email tdpsmarketing@umd.edu if you are interested. BA Theatre student Maureen Roult will play Cousin Hebe in HMS Pinafore, with 2nd Star Productions in Bowie, MD, October 21 - November 19th. Purchase tickets here.